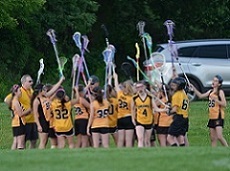 The purpose of the Hunterdon Mohawks Lacrosse Program is to introduce, promote, develop, and instruct boys and girls in the game of lacrosse, so that they develop a life-long love for this sport. We will teach girls and boys how to work hard, get better. Thank you for an outstanding registration season. While we have begun to practice, it is not too late to join us. We are a feeder club for the North Hunterdon High School Lions. We are proud of our Mohawks alumni that have gone on to play Lacrosse on most area high school teams including North Hunterdon, Hunterdon Central, Voorhees, Delaware Valley, and a number of area private schools. Competitive Area Teams – Phillipsburg, Tewksbury, Del Val, Flemington, Hillsborough, Warren Hills, Long Valley, Branchburg, Readington and more. 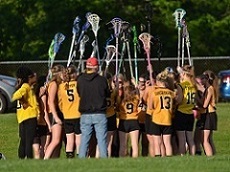 The Mohawks is a 25 year-old recreation Lacrosse program with a focus on Introducing to the sport of Lacrosse to new players, Skill Training based on player level, Goalie Training (club owned protective equipment available for goalies), good sportsmanship, and team building. We have established relationships with area travel clubs and many players will also play on other advanced teams throughout the year.